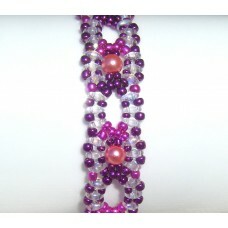 Deep purple 8mm rondelle beads connected with coloured hematite and silver lined seed beads and surr.. 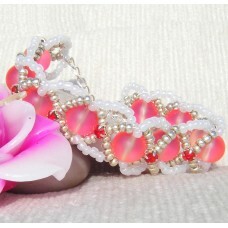 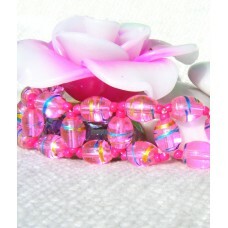 This elegant bracelet was made using 6mm pink pearlescent beads connected with metallic pink and pur.. 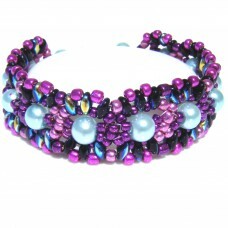 This eye-catching bracelet was made using 6mm blue pearlescent beads connected with metallic pink an..
Multi coloured silver lined seed beads surrounding 6mm frosted glass beads are inter-connected with ..
8mm pink pearlescent beads connected with black hematite seed beads and surrounded by AB crystal bic..
8mm champagne rondelle beads connected with pink and purple seed beads and surrounded by Swarovski c..
8mm pink glass beads with irridescent flecks of gold and blue connected with pink seed beads. 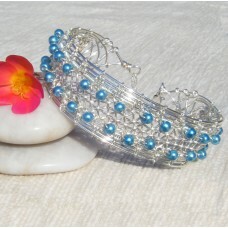 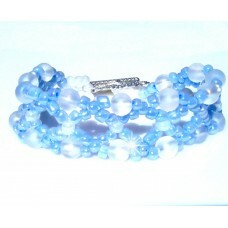 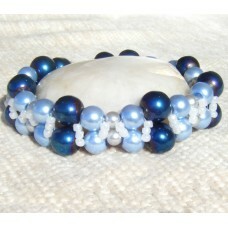 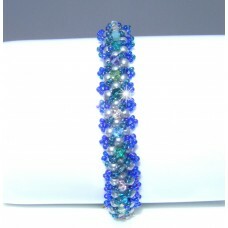 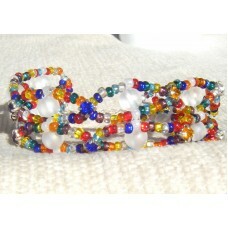 ..
6mm frosted glass beads in a criss cross pattern with powder blue seed beads. 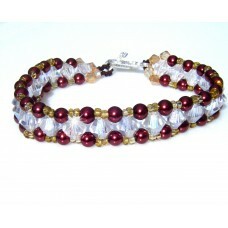 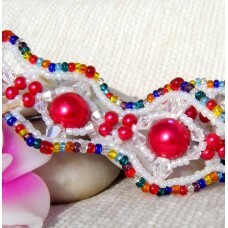 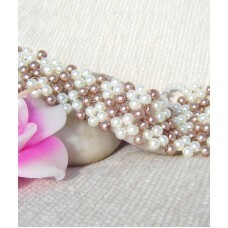 Complete with si..
4mm white and 4mm brown pearlescent beads are threaded in a right angle weave pattern. 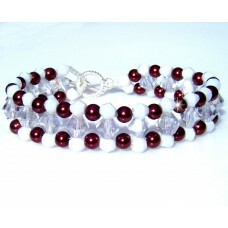 Finishe..
Frosty Pink 10mm beads surrounded by criss cross metallic silver seed beads and white pearlescent se.. 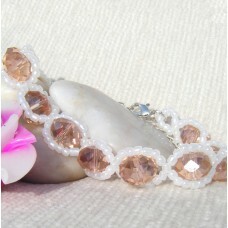 Pink and Pearlescent AB coated white seed beads threaded together in a herrinbone style. 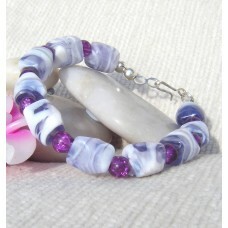 Finis..
Purple marbled glass beads 10mm, together with purple cracked glass 6mm beads. 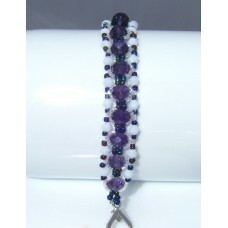 Matching neckla..